Hurricanes Maria and Irma caused vast destruction in Puerto Rico, creating humanitarian crisis conditions for millions. Instead of massive amounts of vitally needed aid and debt relief, the Trump administration requested House and Senate members authorize a $4.9 billion loan to the island as part of $36.5 billion in disaster relief – plus a $150 million loan, matching FEMA grants, increasing its unrepayable indebtedness instead of responsibly cancelling it. Funds loaned are intended for maintaining basic government operations, nothing for devastated Puerto Ricans. Most on the island still lack power. They have limited access to food, fuel and clean drinking water. Estimated hurricane damage is around $95 billion, according to Governor Ricardo Rossello. “Puerto Rico is on the brink of a massive liquidity crisis that will intensify in the immediate future,” he said. House legislation provides emergency funding for hurricane and wildfire relief – earmarked for business interests, not devastated Texas and Florida residents, or Californians affected by wildfires. Legislation includes $18.7 billion for FEMA’s disaster relief fund, another $16 billion to replenish the flood insurance program. House members passed legislation on Thursday, Senate members taking up similar legislation next week. Puerto Rico is insolvent. Its indebtedness is around $74 billion – plus another $50 billion in pension obligations. Last May it declared quasi-bankruptcy. Creditors were unwilling to grant concessions. Pensioners and workers nearing retirement may lose out altogether. Before hurricane devastation, Trump said they’ll be no “bailout” for Puerto Rico. Unlike US counties, cities and other municipalities, states and US territories can’t declare Chapter 9 bankruptcy, allowing them to restructure debt. 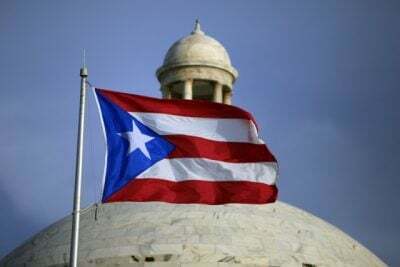 Puerto Rico faces a long, painful struggle ahead, debt-entrapped by creditors, ill-served by uncaring Washington, mismanaged by corrupt officials, a deplorable situation, affecting its poor and most vulnerable hardest – compounded by hurricane devastation and uncaring US officials. Economist Mark Weisbrot explained cancelling Puerto Rico’s debt and providing significant federal aid is its only chance to recover. Its residents are US citizens. Its political status denies them legal rights. They’re treated like colonial subjects, enduring crushing austerity because of the island’s insolvency. They pay federal taxes without congressional representation, getting back pathetically little in return. They suffer from mismanagement, political greed, widespread corruption, deplorable social services, and monied interests exploiting them, enforced by police state harshness. Debt-entrapped, Puerto Rico is forced to pay bankers and other creditors at the expense of responsibly serving its residents. Recovery under favorable conditions will take years. Given federal indifference to the island’s misery, devastation in large parts of it could go unaddressed indefinitely.